One Of A Kind~Gorgeous Condo! 2 units combined into 1! Fabulous views of skyline, park & river. Balcony off livingroom 2 master suites w/walk-in closets. Beautiful chef's kitchen w/cherry cabinetry, granite, SubZero, Thermador & Bosch SS appls, crown molding, Brazilian cherry flooring , laundry. Views from every room! Full amenity building w/pool, doorman, exercise room. Garage parking available for $30k! Dog Park! 600 N Kingsbury Avenue #1207 Chicago, Illinois 60610 is a condo property, which sold for $790,000. 600 N Kingsbury Avenue #1207 has 3 bedroom(s) and 3 bath(s). 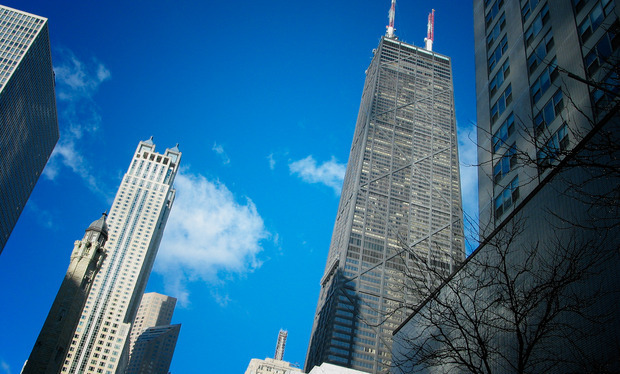 Want to learn more about 600 N Kingsbury Avenue #1207 Chicago, Illinois 60610? Contact an @properties agent to request more info.